This time it's a RILEY BLOOM Giveaway!! 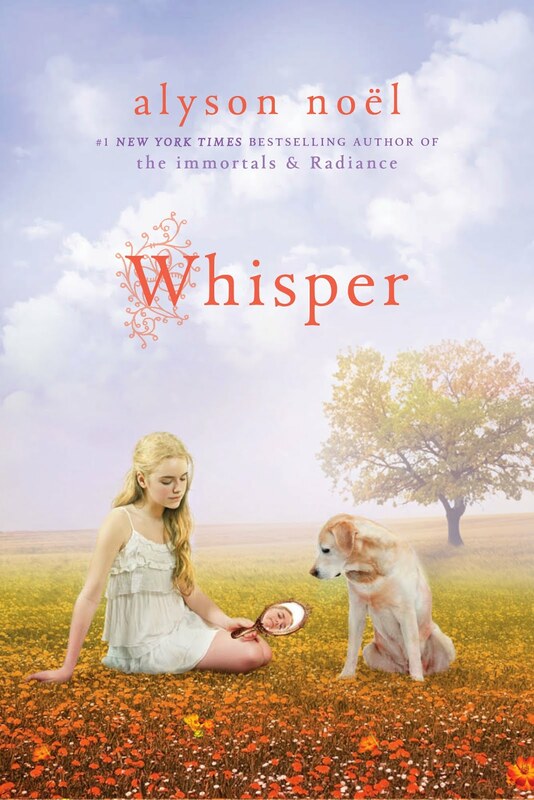 In addition to all of the amazing FATED giveaways happening now, I'm also giving away a signed copy of a RILEY BLOOM book in celebration of WHISPER, book 4 in the RILEY BLOOM series, releasing on 04.24.12! For your chance to win and to read the exclusive Riley Bloom interview, click HERE! To read more about WHISPER and see the photos that inspired the story, click HERE! Major FATED giveaway & a sneak peek at chapters 1-2!! Just wanted to let you know about all the exciting FATED giveaways you won't want to miss! Over at RT magazine, they're giving away three Advanced Reading Copies (ARCs) of FATED well before its May 22 release! For your chance to win, click HERE and leave a comment telling us where you would most like to travel with FATED protagonist Daire Santos! Also, my awesome publisher St. Martin's Griffin, is offering loads of ARCs, super cool dream catcher earrings just like the ones on the cover of FATED, a sneak peek at chapters 1 -2, and the entire IMMORTALS series on audio!! Click HERE for more details! And to get an inside look at the world of THE SOUL SEEKERS, visit my website to view some pics from a recent visit to New Mexico, a Q&A on what inspired the series, the playlist I listen to while writing the series, and more!! All you have to do to get started is click HERE!! And remember, you can stay on top of all the latest news by downloading the FREE Alyson Noel app HERE! Win an ARC of FATED!!! As the release day for FATED approaches (in stores 05.22.12! ), we've got lots of exciting things in store to help kick-off the series! Today, we're being featured in RT Magazine's Spoiled column, where I write about the inspiration behind the series, and give you a few hints as to what you can expect. We're also giving away 3 FATED ARCs well before the book hits stores in May! All you have to do for your chance to win is click THIS LINK and leave a comment about a globetrotting adventure you would like to go on with SOUL SEEKERS protagonist- Daire Santos! And speaking of RT . . . in April, I'll be heading to Chicago, IL to take part in the annual RT Convention, and the super fun Teen Day they've planned! I had a blast last year at the Los Angeles Teen Day and this year in Chi-Town promises to be just as fun! There are panels, workshops, give aways, signings, and even an after party where you get to hang out with all your favorite YA authors (there are 55 set to attend!). To see my schedule click HERE. To learn more about Teen Day in general, click HERE. In honor of Valentine's Day--one of the loveliest love songs ever! SOUL SEEKERS Portal Now Live! I'm so excited to announce that THE SOUL SEEKERS portal on my site is now live!! 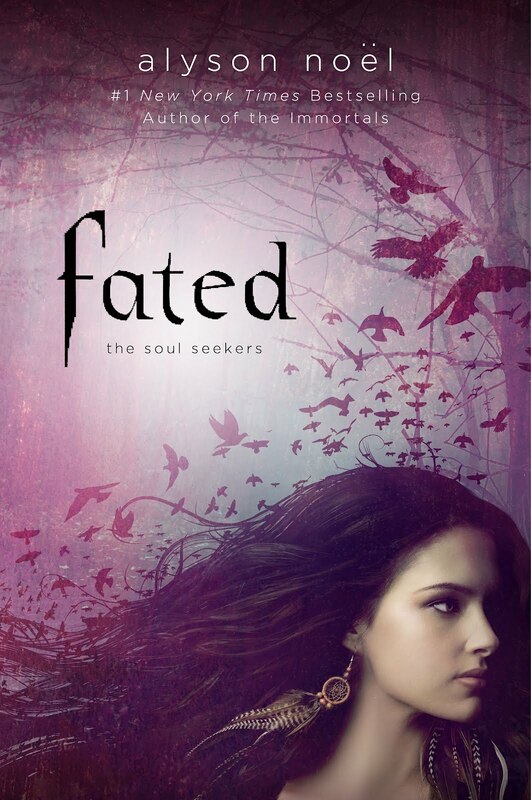 All you have to do is click HERE to start reading about FATED, the first book in the series, debuting on 05.22.12 -- and discover the mystical, magical, romantic world of Enchantment, New Mexico where THE SOUL SEEKERS takes place! The playlist can be found HERE - along with a list of the Spirit Animals that guide Daire and her friends (and possibly you??). Lots of cool extras will be added over the next few weeks--so stay tuned!! or by downloading the free Alyson Noel app!! Hope you enjoy the world of THE SOUL SEEKERS as much as I've enjoyed writing it!